Hey guys, I'm finally getting my aquarium together!! I purchased 2-20lb bags of CaribSea instant aquarium, 1-20lb bag tahitian moon sand, Fluval C-4 HOB filter (sounds like a fantastic product from everthing I have read, can't wait to try it out!! ), 40 gallon breeder aquarium, glass canopy, extra filter supplies, NovaAqua & AmQuel; a nice expensive start!! Still need to purchase some sort of stand, lighting, air pump (both standard and emergency), heater and some java Moss, fern and petite nana, then i'll be ready for my cycling. I'd like to cycle with some fish since I have the added help from the substrate and I plan on having both substrates in my aquarium. I'll be creating a barrier for that hopefully they won't mix with each other to easily. So I'll have lots of extra sand left over for when I need it. A) I opted for the "instant aquarium" gravel to help cut back on cycling time. How do I start my cycling (once I have everything!!) using the instant aquarium gravel and the tahitian moon sand? B) Any idea how fast cycling will be using this method? Just not sure how "instant" the instant aquarium products are!! C) Years ago with my last aquarium I used NovaAqua & Amquel which worked GREAT. How do I incorporate/or not these products in my cycling? in advance for your help!!! Ok... Wow.... Eager to start I guess? First things first, I'd strongly urge you to chose fishless cycling over fish-in cycling. It's kinder to the fish and just as effective. You can read about it here in The (almost) Complete Guide and FAQ to Fishless Cycling. The good news is providing you have a tank, a filter and some water conditioner you can get the cycle started. I have a question for you, what tank do you intend to have? Freshwater, Marine? and what fish do you want to keep? As far as NovaAqua & Amquel go, I've never heard of them.. A quick google suggests they're water conditioners.. Is this right? You'll want to use them to remove the chlorine/chloramines from tap water before you get it in the tank (ideally), to prevent it killing the beneficial bacteria or any life you may have in the tank. Like I said I'd really urge you to go fishless. You wouldn't like it if someone made you live in your own sewage for a few months, why do it to a fish? Everyone urges fishless cycling, be humane please. I copied the below info from Dr's Foster & Smith, I would never have suggested cycling with fish but for the info below and from the CaribSea website. This is a new product for me that sounds really good but I had questions about just how instant the instant aquarium gravel is in regards to cycling, hence the reason for my post. Beautiful and functional substrate for freshwater aquariums*Sand and gravel packed with water containing beneficial bacteria*"Live" substrate conditions and cycles newly setup aquariums. Condition and cycle new setups with beautiful Instant Aquarium substrate. 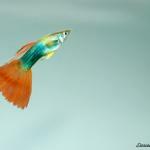 Setting up and decorating a successful freshwater aquarium is now easier than before. These unique substrates jumpstart the cycling process with live water-purifying bacteria contained in each water-packed bag. Instant Aquarium substrates are pH neutral and will not increase aquarium carbonate hardness. Unique grain size resists collection of detritus, fish waste or food within the substrate bed. Available in a variety of natural gravels and sands to enhance the look and function of freshwater aquariums. Ideal for use with most freshwater aquarium setups. Detoxifies metals, eliminates ammonia, neutralizes chlorine and chloramine and provides a protective slime coat for stressed fish. Also reduces nitrite and nitrate. Contains no artificial dyes or paints. I see.. I'd still be tempted to use it as a "boost" rather than just wade right in with the fish..
Do you have a liquid test kit to test for ammonia, nitrites and nitrates? The API Fresh Master test kit is very popular among these forums. I'd dose to 4ppm and test for ammonia, nitrites and nitrates every 12 hours or so. I'd want to see the live bed actually working before bringing fish in.